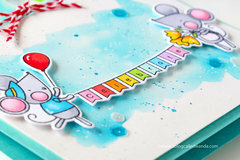 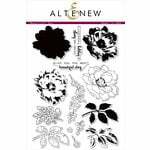 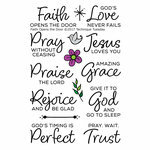 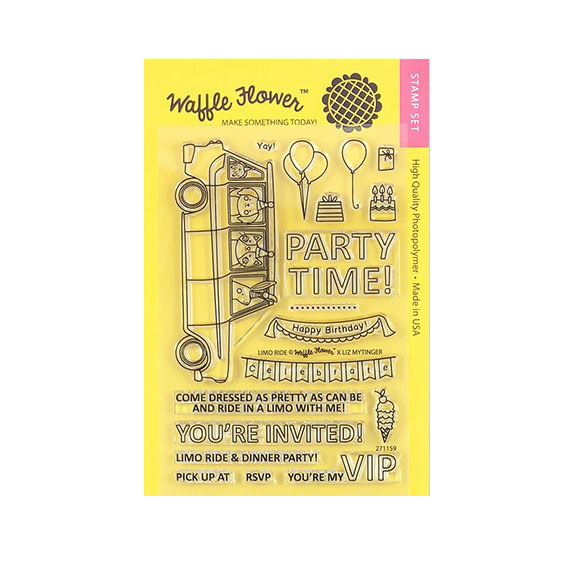 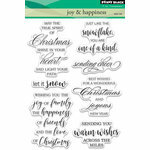 It's time to party BIG with the Limo Ride Clear Acrylic Stamp Set by Liz Mytinger for Waffle Flower Crafts. Included in the package are 17 photopolymer stamps on a 4" x 6" storage sheet. 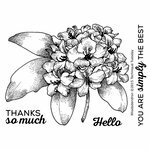 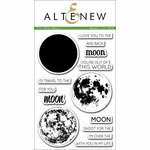 The stamps can be used with an acrylic block of your choice sold separately and are made in the USA.